Will this intake be able to bolt up to afr 220 renegade heads that are for 351W? While this intake would work, AFR recommends part number EDL-2945 be used. 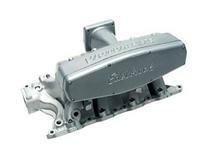 This is the correct manifold for your 351w application, it has the correct lower for the 5.8l while the EDL-2945 has a 5 litre base.